In its second quarter 2015 report, Apple revealed that iPad sales are decreasing. This naturally caused much gnashing of teeth in the Apple blogosphere. Is iPad a failure? Will Apple cancel the product? But if you think about it a little, comparisons to iPhone (of which Apple sold astronomical amounts) aren’t useful or fair. iPhone sales are special in that carrier subsidies are making people upgrade more than normal, especially in the States, and your phone is a very intimate piece of technology that gets used hard every day, so at the end of a two-year contract, the device is usually pretty banged up. Not to mention the tragedy of broken screens. iPad on the other hand is usually used around the house or office and takes less of a beating. But most importantly, Apple still supports all but the original iPad with software updates. Is iOS 8 a bit pokey on older iPads? Yes, it sure is. Which hurts nerds, who are often super sensitive to lag, whereas “normal” humans tend to not really care when their devices are a bit slow. For the things most people do with iPad—Web surfing, email, social media, second screen, and reading long-form—it’s acceptable for most people. Again, this is unlike nerds, who grind their molars every time Safari reloads a tab. In this completely unscientific study of other members of the disappearing middle class who happen to ride the same bus as me, there’s about a 50-50 split between iPhones and Android phones, with the Android phones skewing to phablets, but the few tablets I see are all iPads (and a few e-ink Kindles)—I’ve yet to notice an Android tablet. The thing that continues to amaze me is how tolerant people are of lag. And Android phones tend to have intolerable amounts of lag, especially when scrolling. Go-stop-go-go-stop-go-go-stop. The other day I watched a middle-aged woman playing a Breakout clone on her Samsung phablet and it lagged enough for me to want to throw the thing out the window just watching her play. It’s a twitch game! And it lags! But she seemed unperturbed. Non-nerds are lucky they don’t see or just don’t care about device slowness—it saves them a lot of money. Knowing all this, it makes sense for iPads to be on the same upgrade cycle as laptops. People will upgrade their iPad when it breaks or there’s an app they really want that they can’t get. Until that happens, every new version of iOS makes it a bit more sluggish, but so what? And the things people do on their iPads are often the exact same things they would have used a laptop for. Turns out, “it’s just a big iPhone” is genius—once somebody is comfortable with their iPhone and their laptop implodes, why not spend the same or less money than a new POS laptop would cost on an iPad that they know how to use? It’s a safe bet, there’s almost no learning curve, and they’ll have to spend just as much time administrating their iPad as they do their iPhone—basically none. If you view iPad a laptop replacement, it makes sense for volumes to be lower and replacement cycles longer. We will find out if this thesis holds water soon, if Apple stops supporting the iPad 2s with iOS 9, as seems likely. If so, there should be a pickup in sales as they’re replaced. Putting on my nerd cap, I really wish Apple would get more aggressive about differentiating the iPad from a software perspective and make more out of the form factor, but keeping it a large iPhone is probably a much better path for the masses. And remember, Apple is interested in making mass-market products, not nerd toys. As an aside when it comes to tablets in general, the few non-iPads I see in the wild, while anecdata, speak to the troubles Google are having in that space. Don’t know if it’s chicken or egg, but the one thing that grabs me every time I use my own Nexus 7 is how few Android apps are optimized for tablets and how perfunctory most of those adaptations are. As an example, look at Twitter. Their Android app is terrible in general and full-on insulting on a tablet. 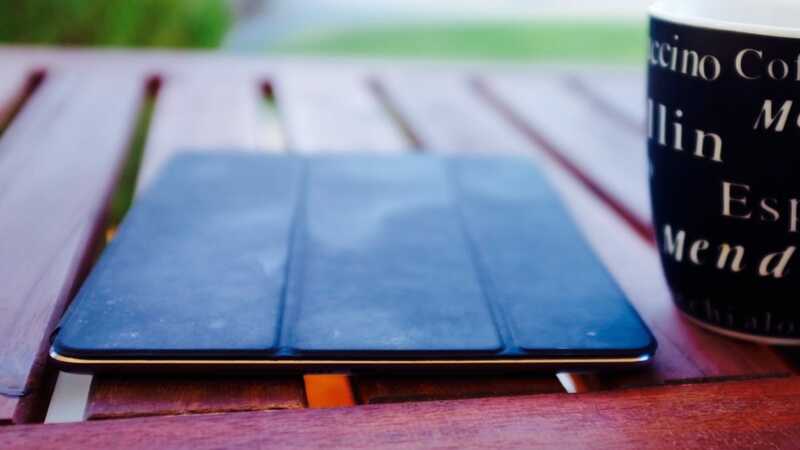 For people who want a light-duty laptop replacement, iPad will continue to fill a need. A smaller-volume need than iPhone, sure, but a real need.